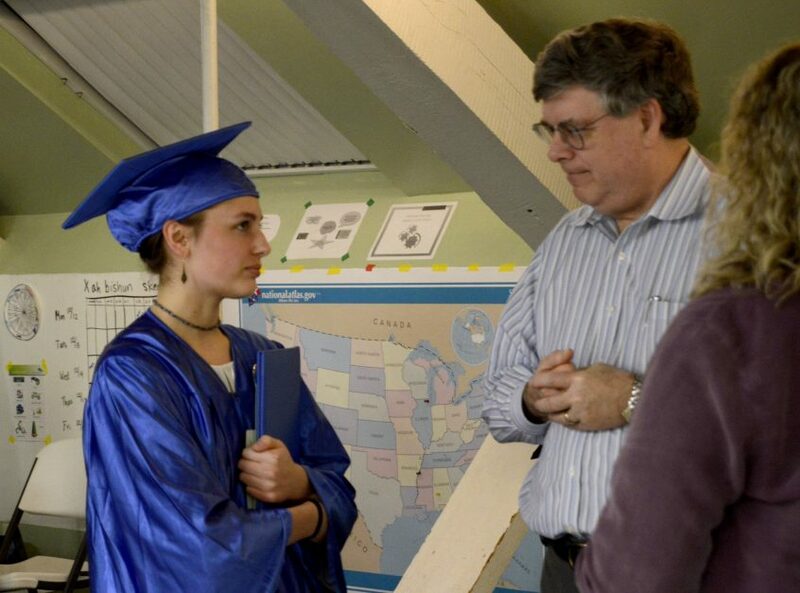 Sarah Foucher was an original pioneer of the Making Community Connections Charter School Monadnock Campus. Joining the school for opening day in August 2015, Sarah’s influence on the community started from day 1. She began an impressive list of rigorous learning opportunities including her study group on Heidegger’s “Origin of a work of art” and Interior Design initiative. Sarah completed two internships with Al Karevey Photography and MoCo Arts’ marketing department. Sarah is also a graduate of the Hannah Grimes Start Up Lab. Sarah’s time at MC2 has been marked by her passion for dance as she infused it into all her work. Her Graduation Research Project allowed her to try her hand in creating original choreography. She also completed numerous performances and treks both locally and at the Boston Conservatory during a Summer Dance Intensive workshop. Sarah is now our newest MC2 Board Trustee and has been accepted to both Goucher College and Marlboro College.